The vivid first-person depictions in the Houghton Library ledger, MS Am 2337, became an object of intense interest after it was rediscovered in the Houghton Library stacks by our late and much lamented colleague, Tom Ford, who brought it to Dr. McLaughlin’s attention in her role as Harvard University’s Curator of North American Ethnography at the Peabody Museum of Archaeology and Ethnology. 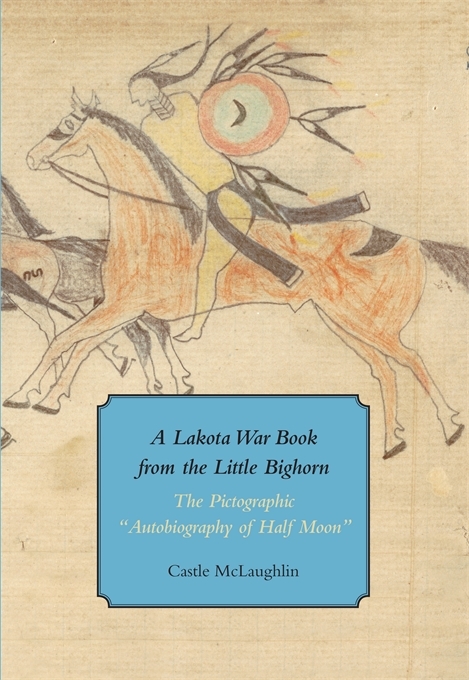 Powers observes that “McLaughlin makes no broad claims for what she is up to, but A Lakota War Book ought to be in the collection of any serious student of the Northern Plains or the Little Bighorn. She is trying to tell us who was on the other side.” Powers’ full review “The World from the Other Side” is available here. We think Tom Ford would be deservedly very proud that his excitement and continuing enthusiasm have borne such fruits.